Can I assign a colour to a specific position? 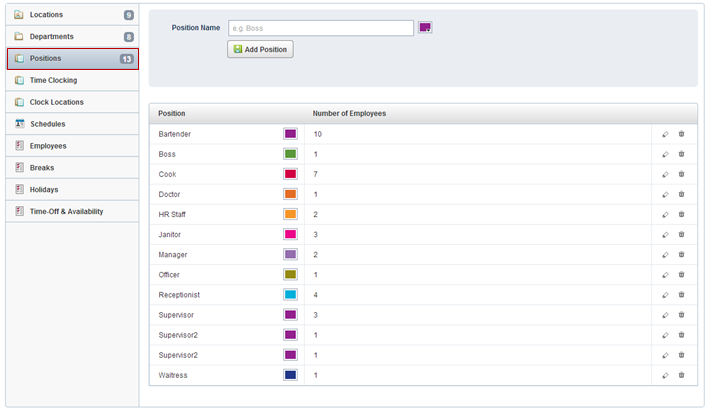 On Positions Settings the admin is allowed to select a default color for positions. This default color is used when scheduling this position. For example if the default color for position "Boss" is green, when a shift is being created, the color will default to green (of course shift color can be edited if it is needed).